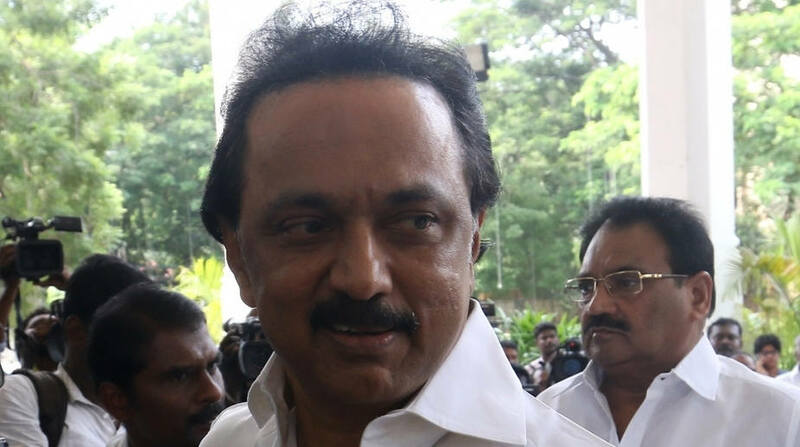 DMK working president MK Stalin was detained by the police on Tuesday after he walked out of the Tamil Nadu assembly and sat on the roadside to protest a rath yatra undertaken by the Vishwa Hindu Parishad (VHP) in the state. Stalin has been opposing VHP’s Ram Rajya Rath Yatra that was launched on Tuesday, and called for a ban on the procession. The 65-year-old son of former Tamil Nadu chief minister M Karunanidhi has said the yatra will disturb peace and communal harmony in the state. In a statement issued on Monday, Stalin had said those part of the yatra should be arrested and sent back to Uttar Pradesh. The yatra, a first in 28 years, was flagged off from Ayodhya in February. “If the yatra enters Tamil Nadu, the government should arrest those who are part of it and send them back to Uttar Pradesh. I strongly condemn the State government for granting permission for the yatra,” he said. Stalin had condemned the state government’s decision to allow the yatra to enter Tamil Nadu. He had also said that the VHP procession is a contempt of court because the Ram Temple issue is pending. On Tuesday, the Tamil Nadu government under Chief Minister Edappadi K Palaniswami rejected Stalin’s demand saying the state government was committed to protecting the democratic right of all religions. 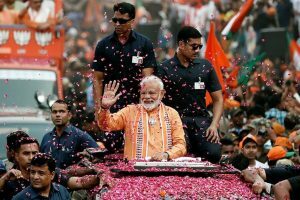 He also accused Stalin of trying to gain political mileage from the issue despite the fact that the yatra has travelled through five states peacefully. Deputy Chief Minister O Panneerselvam reminded the Congress members, who had joined DMK in protest, that Congress-ruling Karnataka and Communist-ruling Kerala too had also granted permission to the yatra. As DMK members created a ruckus in the assembly following Palaniswami’s remark, Speaker P Dhanapal ordered their expulsion from the House and expunged the speech made by Stalin. According to reports, 1,500 police personnel have been deployed by the state government for security of the yatra which entered Tamil Nadu’s Tirunelveli from Kerala.